Close on the heels of the SP-BSP announcing an alliance in Uttar Pradesh for the 2019 Lok Sabha elections, senior Congress leaders including AICC in-charge Ghulam Nabi Azad will meet here Sunday to chalk out the party's strategy. "Ghulam Nabi Azad, UPCC president Raj Babbar and other senior leaders will arrive in the state capital Sunday to hold meetings for finalising the strategy," Pradesh Congress Committee spokesperson Anshu Awasthi told PTI. All leaders from Uttar Pradesh in the national committee and the All India Congress Committee (AICC) secretaries will be here on Sunday, he said. 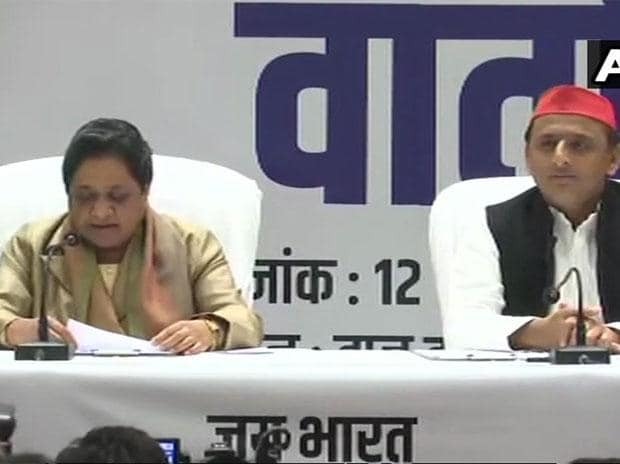 Bahujan Samaj Party (BSP) chief Mayawati and Samajwadi Party president Akhilesh Yadav earlier in the day in Lucknow, announced their alliance, sharing 38 seats each out of the state's 80 parliamentary constituencies. Asked to react, Azad said that he would speak on the issue only after meeting the state Congress leaders. "We have been meeting the leaders district-wise for preparations in the coming elections," Azad said. "In the last two days, we had been meeting the people of western Uttar Pradesh and from tomorrow (Sunday), we will meet party workers belonging to central and western UP," he added. "No one will say anything on it (SP-BSP alliance) today (Saturday) and whoever is speaking on it, it will be unofficial," he said further. The Congress had on Friday said that it was ready to go alone in Uttar Pradesh in the Lok Sabha elections. "We are a political party and are ready to fight the coming elections alone in Uttar Pradesh," Congress media coordinator Rajiv Bakshi had said. "We alone have 45 seats in the Lok Sabha and it is any day many more than the regional players... A 'mahagathbandhan' in the Lok Sabha elections needs to be built around the party having a national face," Bakshi had said. "We are ready to take along like minded parties and they can come together with us," he had added.